It seems that every Chinese city of any size has a hotel or office tower where you can go look out on the expanse of the city. 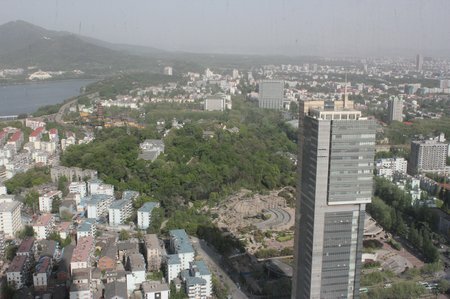 This is Nanjing from the top of one such. The greenery in the park and the mountain beyond are why we found Nanjing one of the most pleasant Chinese cities we visited. 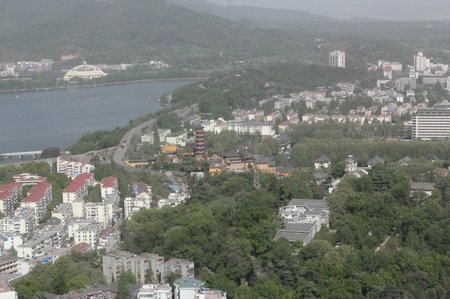 The yellow buildings around the pagoda in the center are a monastery. What looks like a road to the left of the pagoda isn’t a road, it’s a section of the old city wall. Surrounded, as you see, by high-rise buildings and a dense city of over 5 million people. Old China, new China, don’t you think? 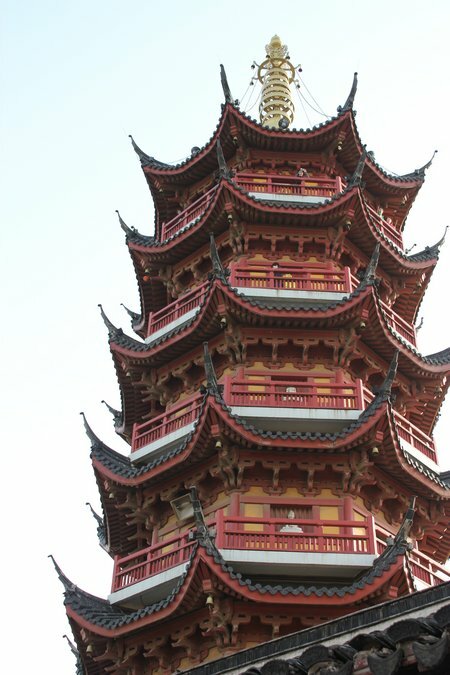 This entry was posted in China, International Escapades and tagged China, China With Kids, Nanjing on May 13, 2011 by wandermom.